The forecast for today was grim with gale force winds and rain ahead. Best thing was … we weren’t in a tent! Around the Anglesey YHA is a campground so there were many people that would have to suffer the day in a tent. We had to sort out a booking error first thing because for some reason we were being charged for breakfast when I hadn’t booked breakfast. We always self-cater, when we can, to save money. The chef I spoke to stated that they charge for bed and breakfast all through August. I certainly wasn’t made aware of this so I had to wait for ages for the lady to come to work to correct our pricing. In the mean time I was worried that if they didn’t want to give us the discount we would have to pay a lot of extra money for breakfast and whilst I was waiting downstairs the boys had already started eating our cereal! Lucky she was ok about not charging us for breakfast – phew! For the record, I wasn’t quibbling over a few dollars, we saved 70 pounds not having to pay for breakfast – what a ridiculous amount of money they were charging us for breakfast! I know I booked a lot of different accommodation the day I booked this hostel but as a self-titled booking expert these days, I certainly don’t forget things like extra charges for breakfast. Breakfast and parking are two very important considerations when booking! 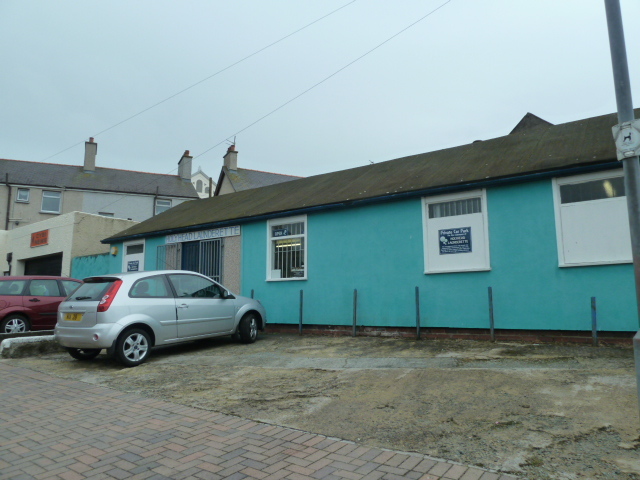 With that sorted, the next job was to find the Laundromat that we had seen advertised in the town centre. We gathered every bit of washing we could and set off. 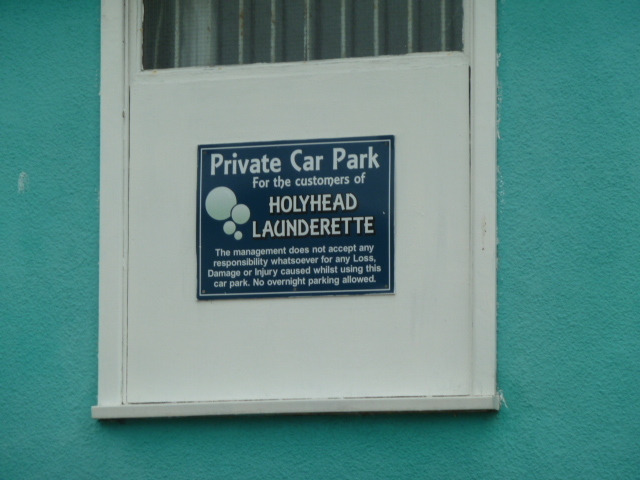 The Holyhead Laundry was easy to find and had a huge selection of washers and dryers! I set myself up with the computer to wait out the next 80 minutes of washing and drying in peace and quiet. The boys headed off in the inclement weather to go to South Stack Lighthouse. 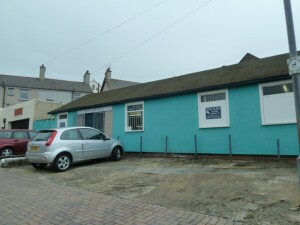 I managed to get the website updated and look into some more accommodation. When they returned Steve and I sat and made good use of the internet connection to google more information on accommodation and managed to book a number of things. The lady who owned the laundrette was more than happy for us to sit in the nice warm cosy laundry for as long as we needed to. Thanks! By the way, it cost me 6.40 pounds for the largest washer in the world which fit everything, and then 4 pounds to dry our stuff in two loads. 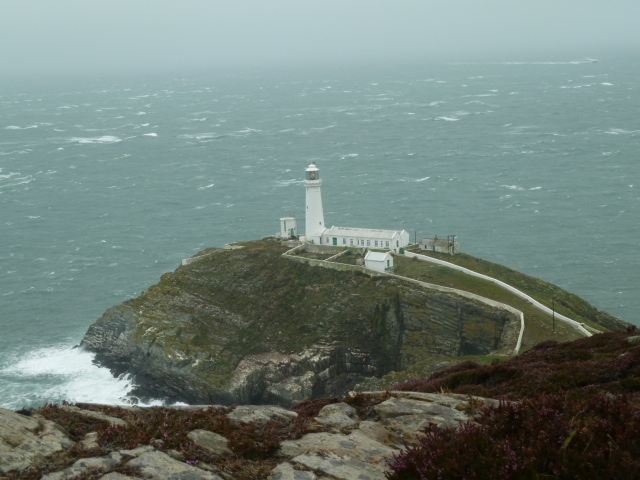 Next was lunch but not before taking me for a spin past South Stack Lighthouse. What an amazing view. I wish the weather had been better and we had more time because it would have been worth going up it. We had to rush back to the hostel to eat lunch and get ready to drive to Llanberis to get the Snowdon Rail (or so we thought). We headed out early but as we drove to Caerfaron the rain got heavier and heavier. We pulled over so I could call the railway office to find out if the train was still running … we kind of thought it wouldn’t be. Our guess was correct … no train today and they had apparently been trying to contact everyone. Glad we called before we drove there and lucky they will refund our credit card. 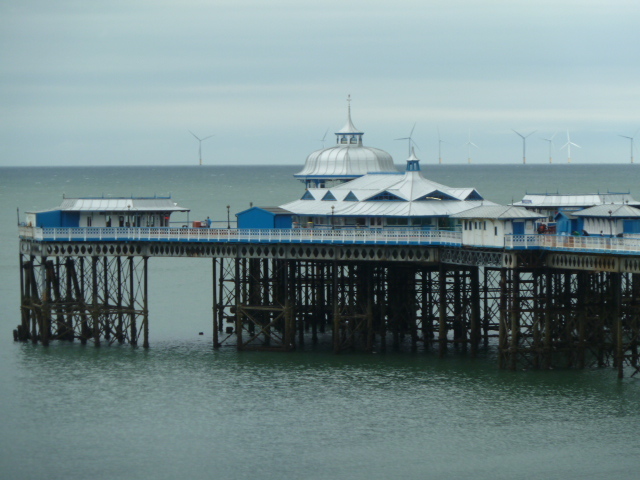 We were a little disappointed but we quickly changed our plans – off to Llandudlo instead. The iPad was coming in handy as we used it to look up the local cinemas and found the one in Llandudlo and checked the times. Being a rainy day we knew it would be busy so we stopped in first and bought our tickets before driving to see the town centre and pier. The town is lovely; like a small Brighton only nicer! The pier is really cute and the hotels lining the beach are quaint. There were a good number of tourist buses but it didn’t have the crazy feel to it that Brighton has. We looked at the local shopping area for about 40 minutes before heading back to the cinemas. It was still rainy too. Steve dropped me off so I could get a good seat for Harry Potter. I’d been wanting to see it ever since it came out but wasn’t able to until our change of plans today – hooray! Glad I got in early because the cinema was already filling up. During the ten million ads and movie trailers; I have never seen so many before a movie before; the cinema continued to fill up. Sometimes the seat allocation system we experienced in Hong Kong and Vietnam is a good thing. Saves having to worry about finding a seat if you are late to your movie … which Steve found out. Even though they weren’t terribly late to see ‘The Smurfs’ they still ended up right in the front and not sitting together. I’d heard mixed reviews about Harry Potter but I enjoyed it and really should go back and read that last book again because I’d really forgotten most of the details of the story. The boys loved ‘The Smurfs’ and had eaten a Happy Meal just before the movie so had their small Smurf toys with them. 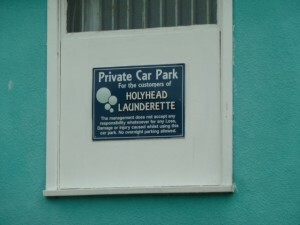 With the movies over we got back in the car to drive to Holyhead about 55kms away. On the way I called the Stena Line cruise company to check about our ferry from Holyhead to Dublin tomorrow. The winds today would have made for a bumpy ride so we really wanted to know what the forecast would be. Unfortunately they hadn’t updated their recorded message so we’d have to call in the morning to find out if our boat wouldl go at all or whether it would be bumpy or extra bumpy! If the boat isn’t cancelled we have to board it regardless of the weather forecast because our ticket isn’t refundable and I don’t think any of the accommodation we have booked is either! I checked the Met Office Marine report and there was an area of red between Great Britain and Ireland. Bad news; this means gale force wind. Fingers crossed it all works out or we might have some really interesting photos for that blog! We certainly don’t want it to be so bad that we make headlines news however!